Mieridge and Glenbogle Kennels are located on 20 acres in Garfield country Victoria Australia. We purchased our first ridgeback Mie (Bearstar Kway) from Sioux Ryan of Bearstar Kennels, in 1992 and formed Meomye Kennels, this included Boss (Meomye Itancan) and Jedda (Meomye Wakan Tanka) both of these are now in Rainbow Bridge. After several litters our passion turned to breeding Quarter Horses. 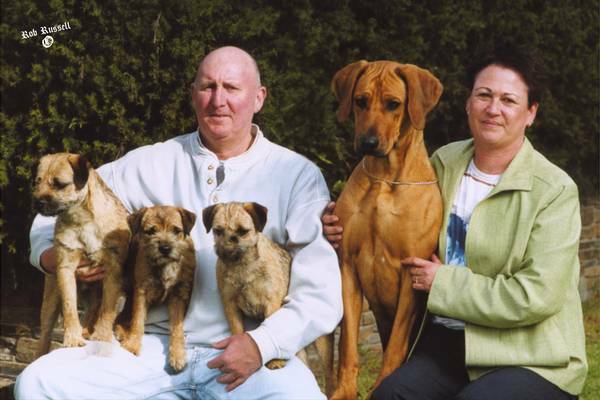 In 2001 we purchased Ellie May (Azania Cheyenne Autumn), and started Mieridge Kennels, extending our Ridgebacks, we acquired Jazz (Grand Ch Starridge Cawzfor Aplawz) in 2002 from Cyndy Burton of Starridge Kennels in Queensland. All our dogs are family pets, as well as show dogs. We breed for temperment, type, structure and function. Glenbogle Kennels breeding for improvement.